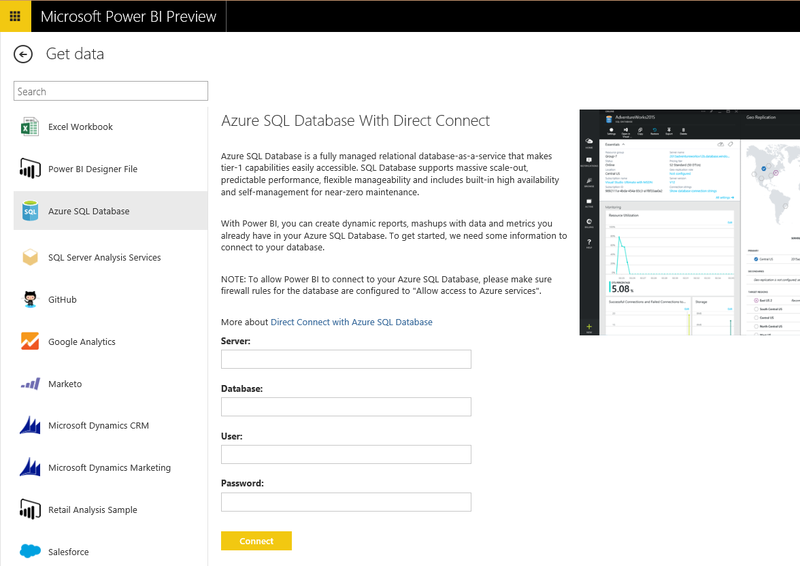 Azure SQL Database is a relational database-as-a-service that allows users to have a scalable system with data protection and predictable performance. With the latest update to Power BI, you can connect directly to the data stored in your Azure SQL Database without the need to upload a custom data model created using Excel or the Power BI Designer. 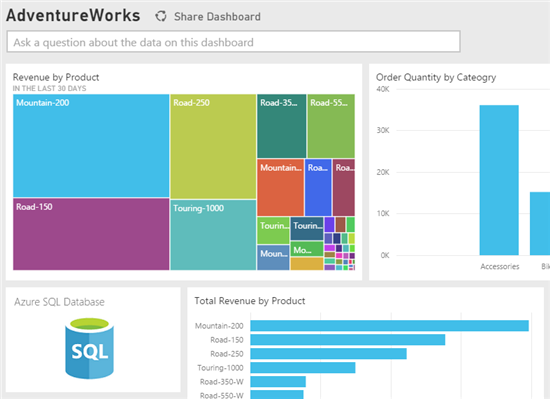 As you explore your data, queries are dynamically generated and sent down to the source, leveraging the power of your database. 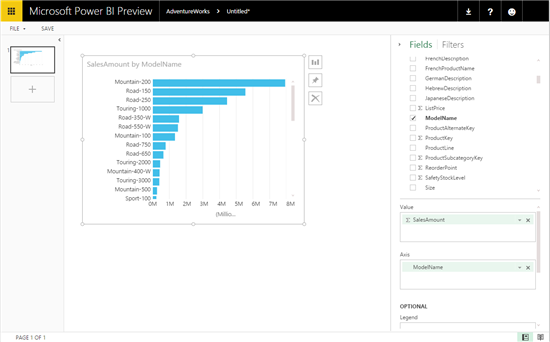 This means you are able to get interactive exploration and visualization of your data, directly over your database. This experience is targeted at users who are familiar with their database and entities within it. 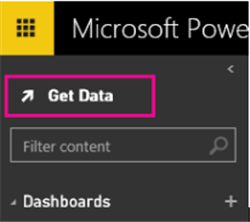 In this post we’ll cover how to get better insights to your SQL Database data using Power BI. For additional details on how to connect and get started, jump to the Connecting to SQL Database section below. 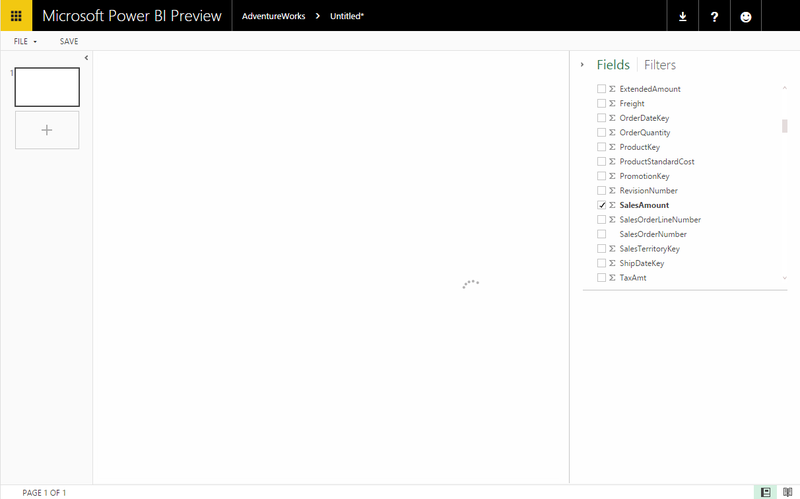 The flow is simple, provide the details to connect to your source and then using schema discovery you’ll see a list of all the tables and columns you have access to in the field list. Selcting fields or adding them as filters will update the query that is sent back to the source. You may see some loading icons, especially if the query will return a large amount of data. To get started, click Get Data at the top of the navigation pane. 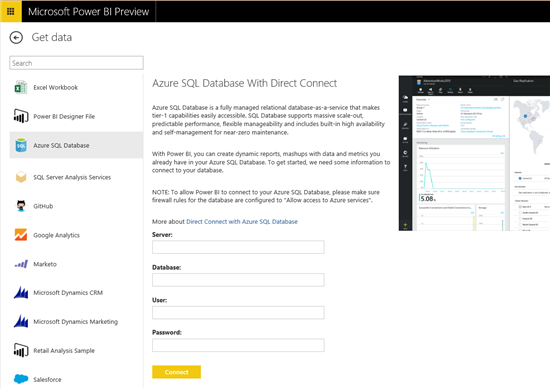 Select the Azure SQL Database entry in the list on the left. You can use the Search box to help narrow down the list. In order to connect, you need to specify the server and database name, as well as your username and password to connect with. After hitting “Connect”, Power BI will create a new dataset with the name of your database. 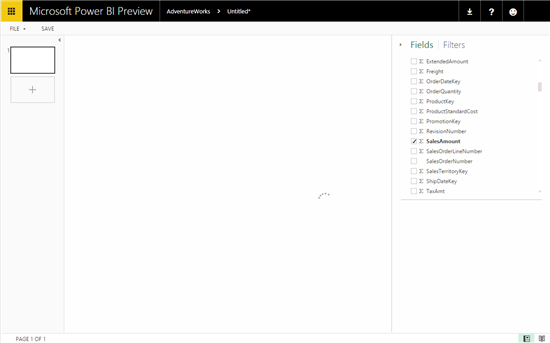 You can select the dataset to being exploring, or selecting the placeholder tile on your dashboard. At that point you can being to explore your data, by dragging individual fields onto the canvas and generating queries back to the source. Depending on the size of the query and the optimizations in the database, you may seem some loading indicators. Once your visuals are created, you can pin them to your dashboard to monitor your data!